You may be seeing youngsters come into the workforce and be promoted. Suddenly, you’re surrounded in a room full of people for whom you are old enough to be their mother or father. According to the Bureau of Labor Statistics (BLS), in April 2016, 40.1% of the labor force was 55 years or over. In 2013, the BLS projected that the following 10 years will result in an aging labor force that is slowly increasing and an overall labor force growth that is declining. There has been an increasing trend among those aged 55 and older to be working. In 1992, 29.7% of the labor force was 55 or older; In 2002, 34.5%; and in 2012, 40.5%. It is projected that 41.5% of the labor force in 2022 will be 55 or older. In contrast, labor force participation rates for those aged 25-54 have been declining. In 1992, 83.6% of the labor force was between 25-54 years old; In 2002, 83.3%; and in 2012, 81.4%. It is projected that 81% of the labor force in 2022 will be between the ages of 25 and 54. So, you may see youngsters come into the workforce, but it is olden that is golden. By this, I mean it is the older members of the workforce that stick around. 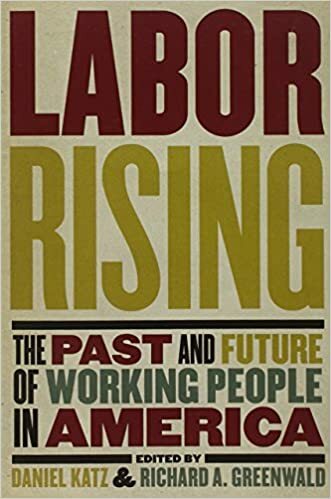 Check out this book: Labor Rising: The Past and Future of Working People in America by Richard Greenwald. In this book, you will find an understanding of the history of the American work force. Specifically, it discusses the economic and political situation affecting working people today. Furthermore, it points to rejuvenating the 21st century labor movement. There is speculation as to why the labor force is growing in age. It could possible by due to the economic climate from 2007-2009. The BLS informs us that the first 12 years of the 21st century marked a decline in the growth of the population and slowed the labor force participation rates. Because of this, labor force growth has slowed. If you’re 50 plus and want to show those youngsters what you can do, apply to the aforementioned grant. You could even serve as a role model for someone who wants to continue to work as they get older.